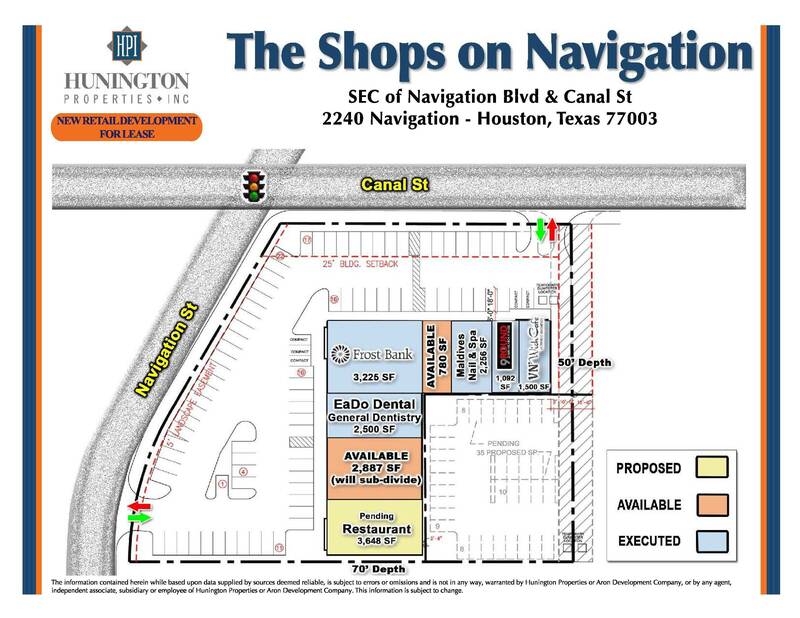 This commercial development is being called The Shops on Navigation (2240 Navigation Blvd). Here's an updated marketing brochure for it. The leasing flyer shows two spaces remaining. 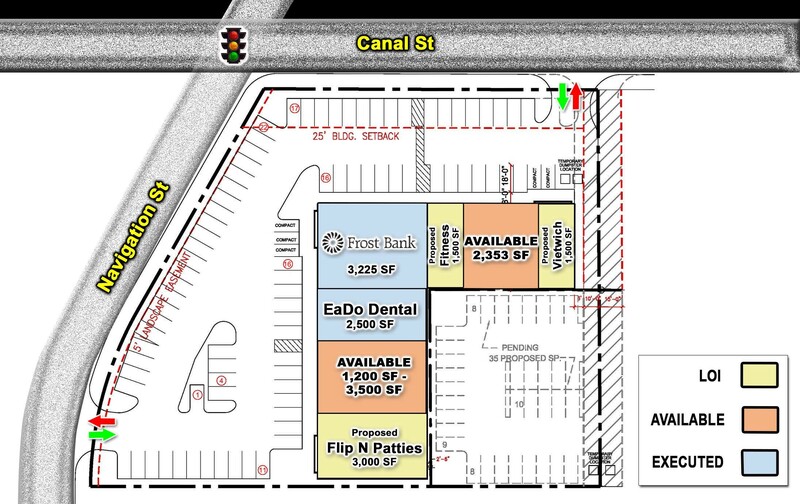 So far it looks as if there will be a Frost Bank, a dentist office EaDo Dental and a proposed fitness center. There are two restaurants shown too, Flip 'n Patties the Filipino food truck and banh mi a boba shop Vietwich or Viet'Wich Bistro. The fitness center and both restaurants have signed letters of intent to lease according to the flyer. Glad we are seeing this place fill up. Interested in the what they fill with the remaining space. That development map is very suspect though. 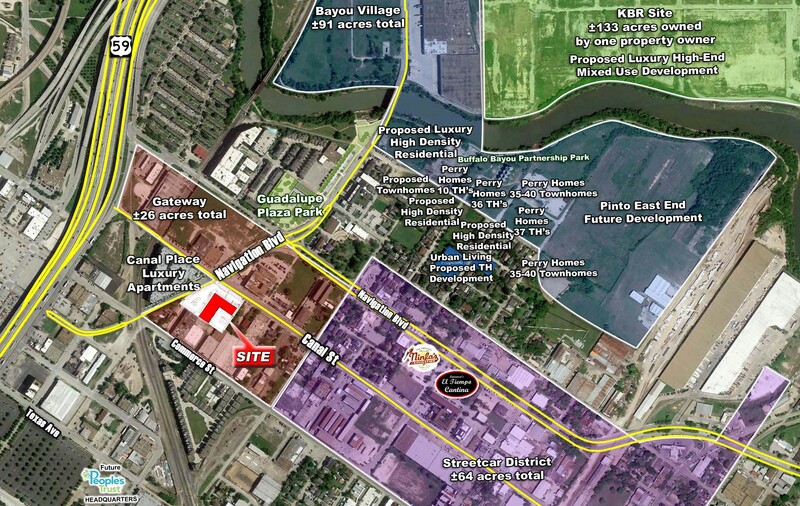 Bayou Village does not own all of that land north of the bayou and has no intention to build apartments there.... Although if they did, it would be a fantastic spot for residents wanting a down town view... Hopefully a Kroger or a Market Rate apartment gets built there and not more townhomes. Vietwich isn't opening here as first proposed. They've locked down a place on the southwest side of town near 59. I'm glad to see the new development in this neighborhood. 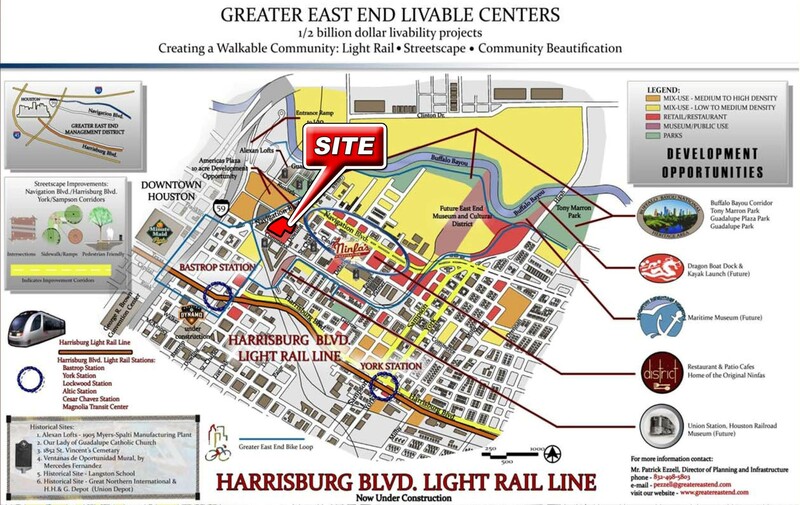 Bummer they put the parking in the front instead of behind the L. Whats up with the "Future East End Museum and Cultural District"? I haven't heard about that but it sounds like it could have potential. Would the businesses be moving then? There are two brick buildings (Dixie Plating Co and General Supply & Equipment?) that could be converted into gallery space. 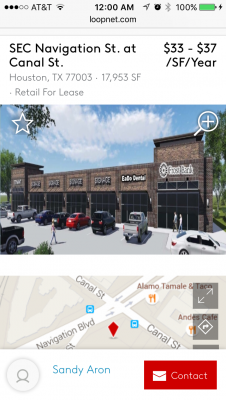 Maybe use the metal awning style warehouse north of Palmer for a farmers market (I noticed it has a covered loading dock that could be a nice area for food trucks).. possibly incorporate art into the market in some way (vendor booths, live demo work space, etc)? It looks like the railroad tracks have been completely abandoned through there, though there appear to be a few rail cars sitting near Commerce. The rail cars could be rolled north onto the site and incorporated as additional gallery space or installations in a unique setting. Maybe pave along the tracks as a pathway going from the bayou trails/Tony Marrow Park to Commerce? Idk, just throwing some ideas around after glancing over google maps..
Why does it show the Maritime Museum location where it is? I thought it was going at the Turning Basin.. While i wish the building was pushed to the sidewalk to have a more urban feel, the brick looks good. it matches the surrounding structures, new and old, pretty well. I live walking distance and am pumped for new restaurant options. 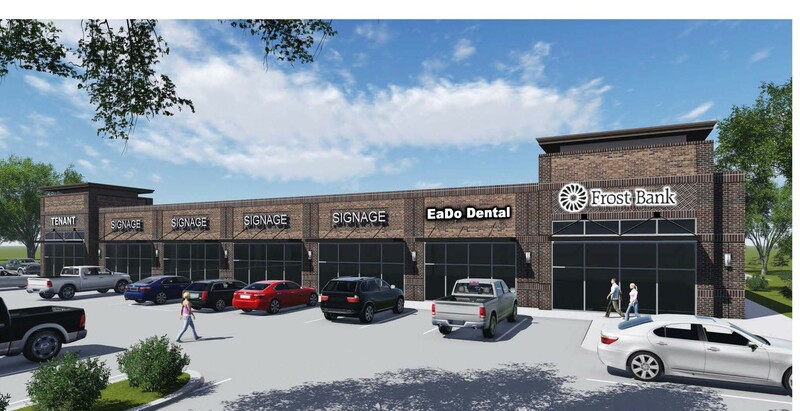 EaDo dental signage is up already. 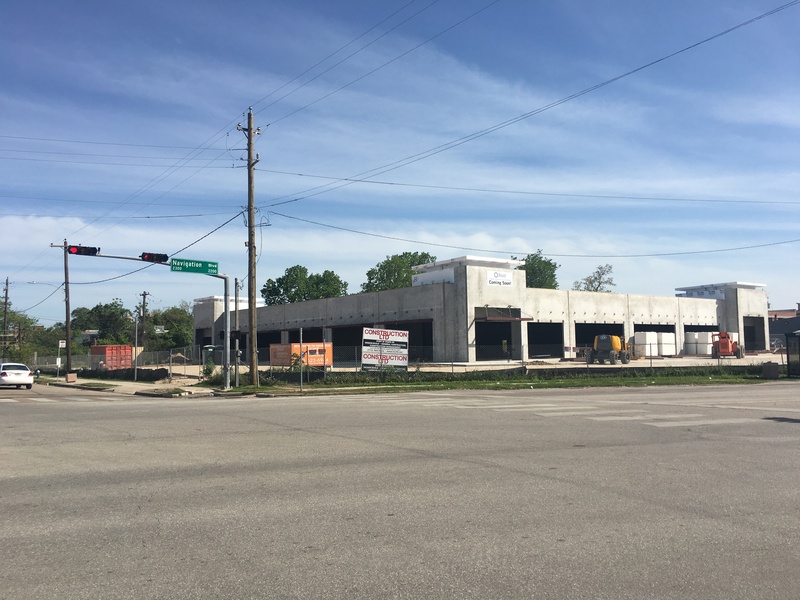 SouthSide Flying Pizza (a pizza restaurant from Austin) is set to open in the spot originally slotted for VN. 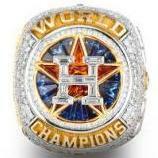 So as of now there is only one more spot available. Not sure if this is the appropriate thread for this, but the 3 story building across the street and next to Alamo tamale (which I think is Americas Plaza? ), and the lot across the street and catty corner from this shopping center, which also contains an art gallery and previously belonged to Alan Atkinson. 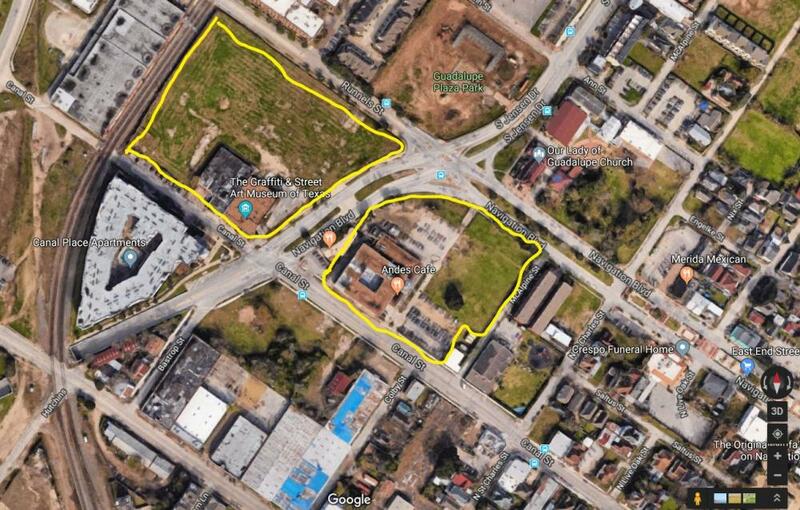 Per HCAD records, both these plots of land and buildings now belong to an entity named KBRN, LP. KBRN, LP also owns the old KBR property on Clinton (dubbed East River), just a couple of hundred feet away. As we all know, Midway is developing the East River project on Clinton. A search of KBRN on google places the address of this entity on 800 town and country, which also appears to be Midway's address, so in summary, it appears that Midway owns these two plots of land. Anyone heard anything about this? No announcement has been made that I know of. Hopefully it's part of a larger, exciting mixed use project and gateway into the East End. 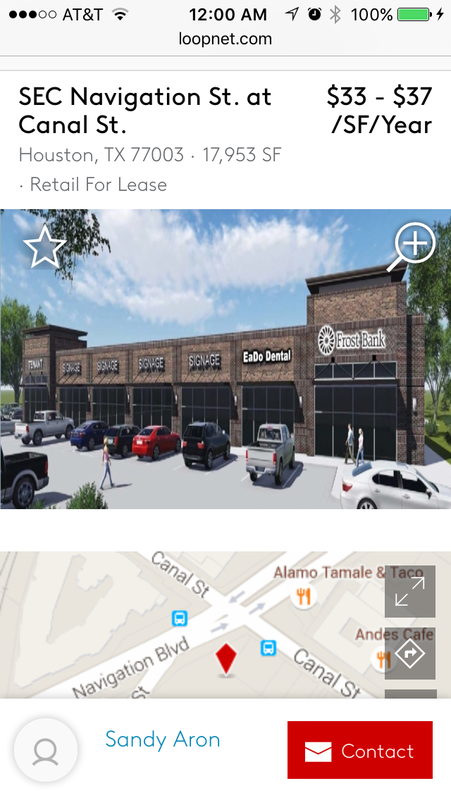 EaDo Optics has signed a lease as the final tenant. Additionally the property has been listed for sale. Midway has now posted a sign on the lot (catty-corner from the strip mall) saying "available". Not sure if their plan is to develop it or to lease it. Nothing posted on their website yet. Anyone with knowledge about this? It does seem like Midway is betting big on the East End. We need a total wine & HEB stat. I hate having to drive to Rice Village & W Alabama. This location/area would be perfect. I wonder when Southside Flying Pizza will open. They seem to have hit a stand still with permits by the looks of the notices on the window the last time I was over there. Hunington has listed a small parcel for sale directly behind this parcel. Has some updated stuff on the map including Marquette.